Home» Road Tests » Fiat 500 TwinAir Contract Hire & Leasing Review. Fiat 500 TwinAir – Retro Fun for the Fashion Conscious. It must be Italian season here at BVL as following on from last months Alfa Romeo test, we’ve got yet another Italian stallion to play with, but to be honest this one’s more Shetland Pony than Shire Horse, but never the less, it shares the same pedigree. We spend lots of time driving posh expensive luxurious cars, it comes with the job and maybe because of that, when it comes to road-tests, we find ourselves picking the best thing that’s lying around to use for our road test and when its time to set off home, we pick the biggest and flashiest car to “smoke ourselves” as they used to say in the trade. Now whilst that’s probably a slight exaggeration, it is true that when you can drive a more expensive luxury car with all the toys, then why on earth would you choose to drive cheap one, particularly one that’s got a two cylinder engine which is smaller than on most motorbikes and is tiny. Yep, it just does not make sense. So it was with a real sense of duty that I decided to forgo my posh motor and spend up to an entire week with one of the smallest cars around, the Fiat 500 TwinAir. I guess, in my mind thinking if it were absolutely awful, I could at least make some excuse, park it up and get into something more in keeping “if you know what I mean”. So key in hand I searched our car park and sure enough tucked there in between two proper sized cars was our test car, a black Fiat 500 with black wheels and black tinted glass and a black interior! You know a sort of stealth car – yeh right. Being honest, I approached this mission with a tinge of excitement, purely because the Fiat was something I knew that I would never be stuck with permanently. That said, it was all oddly rather pleasant and being greeted by fairly reasonable looking leather seats and a decent amount of space, it actually didn’t seem that bad, although goodness, this really is a small car in terms of overall size. So mind sorted, and I figured that the Fiat 500 was something I could live with for at least an evening. That was however until I turned the key as the little 875cc engine sounded as if it was just about to grenade and fly into bits any second, leaving me feeling I should turn the thing off pretty quickly? OK, it wasn’t a stupidly loud noise, but if someone offered you a second hand car that sounded like that, chances are you would walk away. As a reviewer however, it’s different as the car isn’t yours, so you don’t really care too much if it blows up as long as it doesn’t do it somewhere inconvenient and to be honest, the manufacturer shouldn’t deliver you the car if there was something wrong with it, so test it we would “even if it meant to test it to destruction”. In truth, there was nothing wrong with our little 500 because it turns out that it’s meant to sound like a cross between a Vespa Scooter and a Massey Ferguson Tractor, or as one of our guys here referred to it is as “flatulent & farty”. What ever the case, it sounds nothing like anything we’ve ever tested before and takes a while before you begin to see it as normal. So before we go anywhere, let’s take a look at what we’ve got here. Well inside the 500 is really quite surprising, because despite there being lots of the much moaned about hard plastics, it looks good, and you wouldn’t instantly have a list of things that you think should be changed. There’s more than enough space for two full size, even chubby adults in the front and as the 500 was designed as a full 4 seat car, surprisingly, it pulls it off in the rear as well, because legroom is good for a car that measures just 3.5 metres long, but as you might expect rear headroom is still a bit tight but on balance we thought the 500 offered a much better rear seat experience than the Mini which is one of its main competitors. Behind the rear seats, and hidden under what’s probably the worlds smallest parcel shelf is the Fiats 185 litre boot and whilst that’s not big by any means, it compares well to the Toyota Aygo which is just 139 litres or the Mini at 160 liters, but the Ford KA, which is pretty much the same car as the 500, offers by comparison, a massive 224 liters. Up front, the cars dashboard is dominated by a large binnacle which houses the cool and quirky Speedo, rev counter thingy and by that, I mean there is one huge dial witch is shared with the Speedo, rev counter, fuel gauge & temperature gauge. The needle for your speed travels around the outside edge, whilst the rev counter needle makes its way round an inch or so further in and in the centre, are both fuel and temperature along with lots of the fuel computer and radio stuff and we liked it a lot as it was easy to read and it “out-Minied the Mini”. As with most modern Fiats or Alfa Romeo’s our car was fitted with the Blue&Me system, which Fiat say has changed the face of in-car communication, information and entertainment. The system was created from a partnership with Fiat Auto and Microsoft and is fully compliant with legal requirements as it can be used without taking your hands off the wheel, as its Aux-in allows you to use your mobile phone with Bluetooth® technology in the car in the utmost safety and to listen to music in digital format, thanks to the hands-free function and steering wheel controls and voice command options. Well, maybe we didn’t make the most of our Blue&Me, but we felt it offered little more than other Bluetooth® in-car systems and in fact was more difficult to use than some others we have tried, but never the less, it did the job ok, even if the radio unit did look a little basic. On the road, the little Fiat 500 is just a gas to drive, its light weight, short length and precise steering means it changes direction quicker than a coalition government and its great all round vision makes town driving and parking a doddle, and even on open roads, where you think the 500 might suffer awfully, its top speed of 108mph and 0-62mph of just 11 seconds, means that its really much better than it should be for its size. The TwinAir Turbocharged two cylinder engine is smaller and lighter than the 4-cylinder engines in the 500 and despite its diminutive 875cc, if you keep it over 2000rpm, its more than pokey enough to put you with and keep you alongside most traffic, although you feel a little robbed when you hit the 6,100rpm rev limiter as the acceleration drops away whilst a loud buzzy sound gives the impression that the engine is hardly revving at all. Fiat say the TwinAir petrol engine is the cleanest, greenest petrol engine in the world with emissions of 95g/km for the manual and 92g/km with the semi-automatic, so annual Road Tax is free and on fuel they say it returns 68.9mpg, but the trouble is, it’s hard to drive the 500 TwinAir the right way to maximise the economy potential and we achieved nothing like that during our tests, so I assume that to achieve that kind of mpg requires the constant use of the magic “economy button” on the dashboard and the very lightest right foot. The diesel returns an impressive 72.4mpg and with emissions of only 104g/km, Road Tax is only £20. The 1.4 petrol engine offers better performance, but with fuel economy of 48.7mpg and emissions of 135g/km it will cost you more to run. This is unquestionably a little car, but it’s a well built little car and as a testament as to how good it is, Euro NCAP have awarded the car a full 5 star rating in its crash tests. There have been a number of retro cars that are designed to take us back in time and in the case of the Fiat 500, the original car was designed in 1957 and was as basic as possible, being partly intended as a replacement for a motor scooter, hence the original car came with crazy suicide doors and had just 2 seats and one engine option which was a 2 cylinder 500cc motor and so its kind of odd that with all the advances in engineering, some 50 years or so later, Fiat are screwing a 2 cylinder engine into the reborn Fiat 500. Compared to the original car however, today’s Fiat 500 is positively luxurious. We’ve tested retro cars like Mini and VW Beetle and we feel that the little Fiat captures so much more of the true spirit of the original car than either of its main competitors, because they’ve grown up too much, they’ve become too sophisticated but in a really bland way, whilst the Fiat 500 is still kind of old fashioned and still fun to drive and still very Italian. It would be dead easy to imagine yourself zipping around Venice, Milan or Florence in your Fiat 500, wearing your Gucci sunglasses, prada loafers and pulling up for espresso at l Caffe di Sant’Eustachio in Rome in this almost universally accepted and classless little car. To keep impressing the nouveau riche, the 500 has had (in its short life) more special editions than anything we can ever remember and to give you an example of just how Fiat have cashed in on maximising the appeal of this little car, just take a look at some of these special editions which include, the Abarth / Abarth 500 Esseesse / Abarth 500 Opening Edition / Abarth 500 Assetto Corse / 500 Start&Stop / 500 PUR-O2 / 500 by Diesel / 500 Aria / Ferrari version / Barbie version / Felipe Massa version / Abarth 695 “Tributo Ferrari” / Abarth 500 SpeedGrey / Pink / BlackJack / Fiat 500 “First Edition 500 by Gucci / Abarth 500 Cabrio Italia / 500 America / Abarth 695 Tributo Maserati / 595 Turismo and the “595 Competizione” and if you look at US versions, cabriolets etc, the list just gets longer and longer, so that’s a heck of a lot of different models when it comes to figuring out what its worth, when you come to sell it second hand! Our test car was the 500 TwinAir “Street” and with its leather interior and a couple of other bits, it cost over £14,200 and frankly, we think even if it had it been the standard 1.2 pop version of the Fiat 500 it wouldn’t changed the way that we felt about the quirky little car, because whilst it wouldn’t have had the toys or the TwinAir engine, I’m pretty sure we probably would have enjoyed the car just as much. So back to reality and a cold day in Norfolk, and what did we think? Well in reflection, our Fiat 500 was ludicrously expensive at over £14,000, because it was the higher spec model with the TwinAir engine and had a few extra bits. As you probably know, its got a sister, the Ford KA which whilst it has a blue Ford oval on its nose is actually built by Fiat Auto in the same factory in Tychy in Poland which builds the Fiat 500 and it shares almost everything from switchgear, knobs, buttons, right through to being built on the same Fiat Panda platform and it even has a (rebadged) Fiat 1200cc engine. Big difference is price. KA prices start from £8645 rising up to £12,145, compared to the Fiat 500 which begins at £9960 on the pricelist, running up to a massive and eye watering £16,060 for a Gucci special edition. So it’s clear the KA is a less expensive car, but similarly, the KA definitely isn’t anywhere near as cool as the Fiat 500, its not as hip or trendy as they say, so the choice might come down to what you want from your wheels and how much you are prepared to pay to be fashionable?. So, an expensive fashion accessory, well the Fiat 500 certainly isn’t exclusive, as there are hundreds of thousands of them about, but you can make yours slightly different and Fiat say there are over 500,000 different personalised combinations of the 500 that can be made by adding all kinds of accessories, decals, interior and exterior colours, and trims. That said, does something have to be exclusive to be the coolest kid on the block? Well Apple iPhone would suggest not, as there are millions of those things around, yet even now, they are still considered to be absolutely the phone to have. So yes, there are cheaper small cars around, many of which will do the job as well or even better than the Fiat 500, but not too many in that price area which are quite as interesting, so you will have to decide what you are prepared to pay for a “cooler car”. We really enjoyed the time we spent with the Fiat 500 and were sorry to see it go, and for us, it definitely put some fun back into driving and whilst the car was here for a week and we could probably would have got all the information we needed for our road test in a day, but we were seduced by the Fiat 500 and drove it for the entire week and that’s got to say something. The Fiat 500 is a cute car; it endears itself to you and is easy to fall for its retro styling and the desirable little car that never looks out of place no matter where you are. For sure, there are lots of small city cars around, many which are far less expensive than the Fiat 500, but it stacks up financially long term, particularly if you opt for the cheaper versions, as The 500 with its retro styling is going to continue to appeal for a long time and that should ensure the little Fiat keeps its value as it remains a desirable thing to buy and of course, very easy to sell second hand, once you’ve finished with it. Only time will tell how the Fiat 500 stacks up in terms of reliability, and its been reported that in the 2012 JD Power customer satisfaction survey, Fiat 500 owners rated its reliability at no more than average with it being rated at 71st place (and that’s a drop of 18 places over the 2011 figures), but lets put that into some perspective. A car we like a lot, the Nissan Juke only managed 79th whilst the universally accepted wonder car, the Ford Focus sits even lower at 84th, and even the hugely desirable German twins, the Audi TT and the Mercedes SLK only manage a joint 87th “Nicole and papa” wont be too happy either as the Renault Clio only reaches 113th. So maybe this is a case of a story looking for a headline, as clearly the Fiat 500 holds its own in the strongest and most respected of company. Before we leave the reliability report, we have to say that there never really is a level playing field, as cars like Ford Focus will often be driven as company cars and thrashed around in a way that none of us would do if we owned it, so of course, it’s going to suffer. Who knows the reason why a voter rates their car badly? Maybe it’s that they’ve had a bad local dealer experience, or had to wait for a part to arrive? Whatever the reason, in my experience, the people who want to tell you about the stuff they own, are the ones that are either deliriously happy with things, or desperately unhappy and for the main part, ordinary Joe who’s car does what he expects it to do, doesn’t really say much because everything’s OK, so on that basis, I take these surveys with not just a pinch of salt, but a whole tub of Saxa. So in closing, you can’t really look or talk about the Fiat 500 without looking at its sister the Ford KA somewhere along the line, because of the DNA, they are so close and because of that, the question you have to ask yourself is how do you want your “500” to look, like a Ford or like a Fiat? If you simply want a small car to do a job, well you will inevitably go for the cheapest one “why wouldn’t you” and you know what that means. But if like us, you love the image of the Fiat 500 and are happy to spend more money than you need to, to drive a fashionable cool looking vehicle, that pulls the retro trick off better than Mini or Beetle, well look no further, and don’t forget if money is a bit tight, you needn’t go for the all “singing & dancing” version, because you can get into a 500 for less than £10,000 and that’s an ok thing because we are more than sure that you’re simply going to love even the most basic Fiat 500. 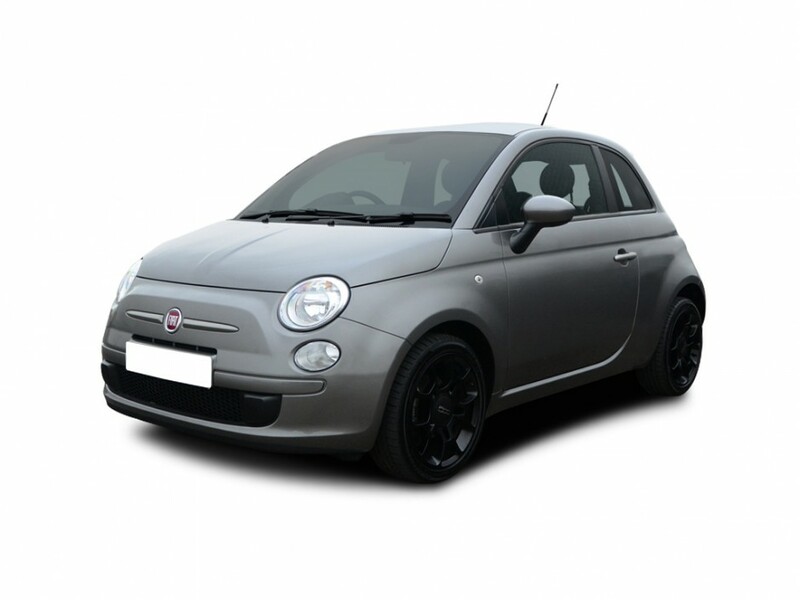 For a quotation on the Fiat 500 or on any other Fiat, please contact us.